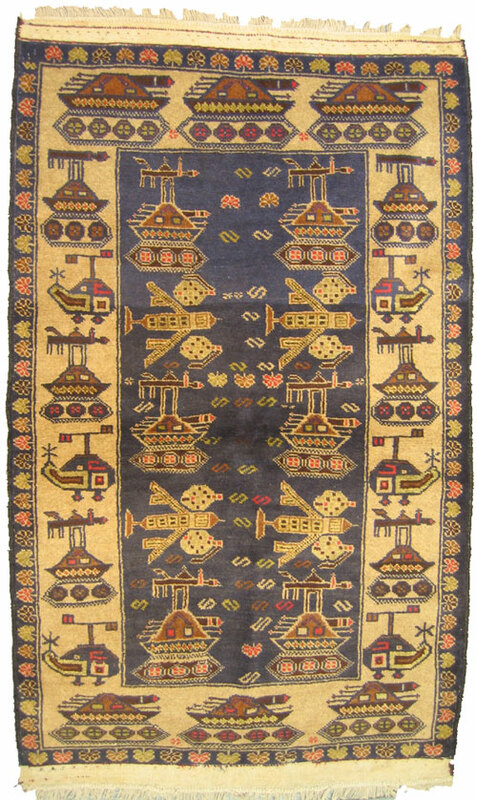 Above: Rug via warrugs dot com, a fascinating, if melancholy collection of themes and colors, all traditional handmade Baluchi rugs. 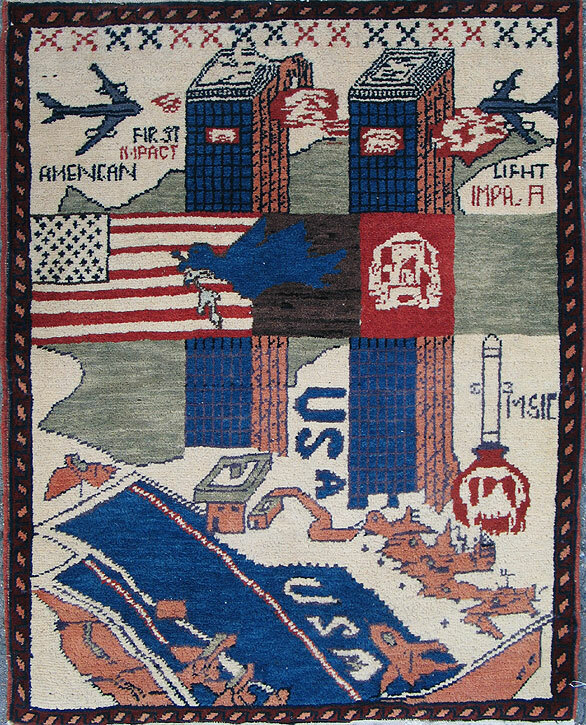 Most interesting is the descriptive use of the word “pixelated” to describe these traditional rug patterns, no matter how non-traditional the theme. The practice dates back to the Soviet invasion of Afghanistan, and continues today with contemporary themes of conflict and destruction. Above: From warrugs dot com. This entry was posted by Erik Brandt on Tuesday, July 15th, 2008 at 8:34 AM	and is filed under Aktuell, Art, Globalization, International, Typografika.